The BBC will close two radio stations, shut half its website and cut spending heavily on imported American programmes in an overhaul of services to be announced next month. In a wideranging strategic review, he will announce the closure of the digital radio stations 6 Music and Asian Network and introduce a cap on spending on broadcast rights for sports events of 8.5 per cent of the licence fee, or about £300 million. He will also pledge to close BBC Switch and Blast!, leaving the lucrative teenage market to ITV and Channel 4. But BBC Three, which is aimed at 16 to 35-year-olds will not be touched. The report is being considered by the corporation’s governing body, the BBC Trust, and is due to be made public next month. It was drawn up by the corporation’s director of policy and strategy, John Tate, a former head of the Conservative policy unit, who co-wrote the party’s 2005 manifesto with David Cameron. It will be seen as an attempt to show a potential Tory government that the BBC understands the effect the deep advertising recession has had on commercial rivals and that it does not need outside intervention to get its house in order. The proposals, which involve £600 million being redirected into higher-quality content, are based on the assumption that the licence fee will be frozen in 2013. All of the changes will be funded by closures and cutbacks in other services. As part of a pledge to focus on quality over quantity, Mr Thompson will boost the BBC Two budget by £25 million and give the station a mandate to go upmarket. This will be funded by 25 per cent reduction in the corporation’s budget of £100 million for foreign acquisitions such as Mad Men and Heroes. BBC Trust sources said, however, that they would try to push the Director-General to a 33 per cent cut in the import budget. The proposals appear to be calibrated to appease the BBC’s rivals in various markets. Broadcasters such as ITV and Channel 4 will be heartened by the corporation’s pledge to reduce teen programming and to scale back on its bidding for hit American shows. 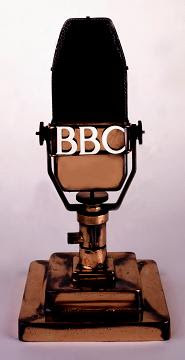 The BBC will also try to calm the nerves of local newspaper groups — who are suspicious of the corporation after its aborted plans to develop video-driven local websites — with a pledge not ever to produce services at a “more local” level than is currently the case. Its commercial subsidiary BBC Worldwide will be ordered to focus its activities overseas and dispose of its British magazines arm. This puts the future of publications such as Radio Times and Top Gear in doubt. It is not clear whether Worldwide would sell off its magazines division or instead put titles out to tender for rival publishers to produce. With the closure of 6 Music, which has an average listener age of 35, and an undertaking to bring more documentaries and comedy to Radio 2, the BBC will also pledge to allow commercial stations to be the main providers of popular music to listeners aged 30 to 50. There will be complaints about the decision to cull 6 Music, which has a small but fervent fan base. Music industry tastemakers revere it as a credible outlet for “real music” but a review last month showed that only 20 per cent of adults knew that the station existed.The BBC will close two radio stations, shut half its website and cut spending heavily on imported American programmes in an overhaul of services to be announced next month. With the closure of 6 Music, which has an average listener age of 35, and an undertaking to bring more documentaries and comedy to Radio 2, the BBC will also pledge to allow commercial stations to be the main providers of popular music to listeners aged 30 to 50. There will be complaints about the decision to cull 6 Music, which has a small but fervent fan base. Music industry tastemakers revere it as a credible outlet for “real music” but a review last month showed that only 20 per cent of adults knew that the station existed.